Seeing as John Parish’s aim was for the compilation to function as a stand on its own piece as much as a highlight reel of his film work, it does at least do the job for Parish devotees who aren’t necessarily world cinema fans. John Parish’s film score compilation, Screenplay, can be somewhat disorienting if you think of it as such. If you have neither seen the films Parish’s scores have backed – or you have downloaded this album digitally – there is no clear indication of which film any particular selection is from. Seeing as Parish’s aim was for the compilation to function as a stand on its own piece as much as a highlight reel of his film work, it does at least do the job for Parish devotees who aren’t necessarily world cinema fans. The music comprising Screenplay is mostly taken from Parish’s contributions to the films of Belgian director Patrice Toye (whose 1998 film, Rose, served as Parish’s first foray into motion picture scoring), the French-Swiss filmmaker Ursula Meier, and French screenwriter/director Sébastien Lifshitz, among others. IMDb summaries and illustrative song titles reveal that the first several score snippets on Screenplay are from Toye’s latest film, 2012’s Little Black Spiders. These selections reveal that Parish is becoming more adept at film scoring, as they are some of the album’s strongest showings. Slight Francophilic touches are discerned here and there, yet the pieces never lose sight of Parish’s guitar signatures; his playing on “Katja Gives Birth” sears like the surface of the sun. Screenplay sometimes makes it a joy to imagine Parish's sometimes Beefheartian flourishes on songs like "L'enfant D'en Haut" worm their way into an Oscar shortlisted film like Meier's Sister. Other tricks, like the treated wine glass samples in "Les Billet", show that Parish's creativity hasn't been stifled by the sometimes constrained genre of soundtrack work. It helps that the other instrumentalists Parish has worked with on these scores are regular collaborators of his and musical kindred spirit, PJ Harvey, such as drummer Jean Marc Butty and guitarist Jeremy Hogg. Much like his work with Harvey, Parish’s film work reveals him as an able collaborator when working with strong women. That Screenplay regularly features work inspired by films of female directors is a blessing, as are the guest female vocalists who appear on a few tracks. Tammy Payne of Jukes contributes some nice airy singing to “The Girls Rehearse”, while Spanish singer Maika Makovski is a little looser on “The Minotaur (Pt. 2)”. The only Parish-sung song, “A Glass of Wine”, comes at the end of the album, and, while not a highlight, it is still strong enough to be worthy of assuming its place as a lighter cut on one of Parish’s proper solo releases. Given that so many indie artists have compiled their adventures in film scoring in recent years, it might be tempting to charge Screenplay of following in the footsteps of something like Mick Harvey’s Motion Picture Music or Tinderstick’s massive compilation, Claire Denis Film Scores. 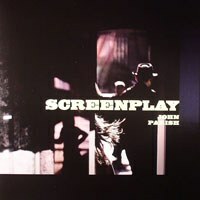 But just as these stand alongside the artists’ regular output, so does Screenplay stand among Parish’s own understated albums. That a band like Mogwai can score a series without having seen it (on this year’s Les Revenants) has proven once and for all that one need not be familiar with the source material to enjoy a soundtrack album. While it would have been nice to have a clearer idea of what exactly Parish was scoring from track to track, Screenplay has enough blissful moments that it ultimately doesn’t matter. Using it as a gateway into the world of Belgian cinema or female directors certainly wouldn’t hurt, however.